Post subject: Supercar Showdown – Season 3 Finale! Grand finalists Todd Hazelwood and Tim Macrow are poised for the ultimate clash of youth and experience after their rivals were eliminated in the semi-final of the Shannons Supercar Showdown on 7mate last Saturday. 17 year old Hazelwood and 31 year old Macrow emerged as the winners of an intense four-way duel with UK Formula Ford star Daniel Cammish and V8 Ute racer Craig Dontas. Each of the semi-finalists was given five laps on a shortened Calder Park circuit to show what they could do behind the wheel of a V8 Supercar prepared by 2013 Bathurst 1000 winners Ford Performance Racing. 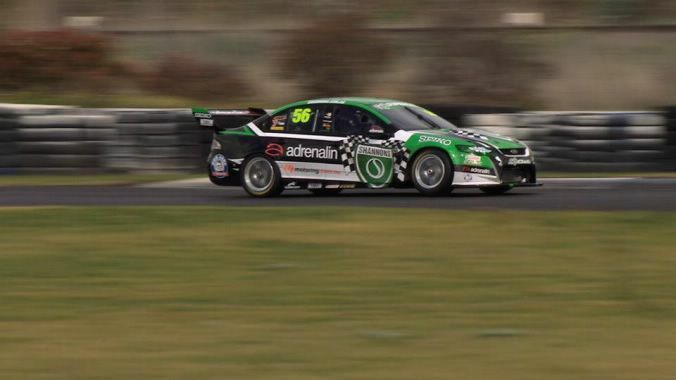 The two rookies to emerge with the fastest aggregate times went through to the grand final while the two slowest contestants were sent home by team captains and FPR V8 Supercar drivers Mark Winterbottom and Will Davison. SUPERCAR SHOWDOWN SEASON 3 - NEW TEAM. NEW FORMAT. NEW PRIZE. Hazelwood and Macrow will now face off in the winner-takes-all grand final as they compete for the one prize that money cannot buy -a testing contract with FPR plus a drive in the Dunlop Series in a Shannons-sponsored V8 Supercar. Will Todd’s prodigious speed and youthful aggression give him the winning edge? Or will the older and wiser Tim exploit his experience and cunning to psyche out his younger opponent? Don’t miss the final episode of the 2013 Shannons Supercar Showdown this Saturday to find out.